The best type of furniture for a small room is the kind that features some hidden storage. Sure, the details will differ. If, for example, you are working on a living room, you should look for coffee tables with hidden storage. If you are working on your bedroom interior, consider a bed with storage. Anytime you are looking for furniture for a small room, you should remember that neutral colours are always the best way to go. They look unobtrusive, and it is incredibly simple to search for matching furniture arrangements. The classic pattern, suitable for a small room would be light walls, slightly darker furniture, and a bit darker floor. Another stylish solution would be to create contrast in the room. Black furniture, in particular, looks very stylish and compact. It will look especially impressive if you search for ways to contrast it with white – or at least with some lighter elements. Another important thing to remember while choosing furniture for a small room is not to combine more than two distinct shades. No doubt, the right choice of accessories can make any room look stylish and unusual. However, if you are forced to work with limited space, you will have to be very careful with bright accessories – especially with the wall art. It would be way better to have one or two bright arrangements than to clutter your room. Another highly functional suggestion would be to look for corner furniture – TV stands, wardrobes, storage units, etc. First of all, they have supreme storage capacity, which is always a nice perk for small rooms. And next – they help to carefully optimize every cubic centimeter in a room, which is sort of the point any time you are decorating a small room. 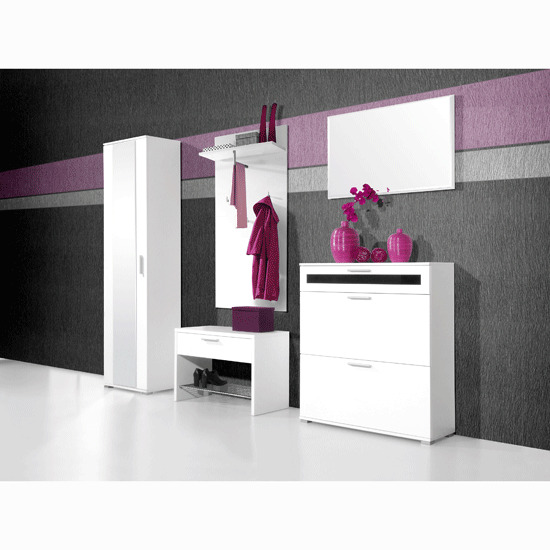 A great selection of furniture for a small room can be found at Furniture in Fashion . This is one of the leading UK sites, offering a vast selection of contemporary furniture from the leading manufacturers across the entire globe. Plus, the platform is oriented towards the UK audience, meaning that new order is delivered from 3 to 10 business days. The bulkier the items are, the longer the delivery will take. Yet, in comparison to the majority of other e-commerce sites, operating outside of the country and requiring months to process new orders, 10 business days is a very short lead time for bulky deliveries.